Finally the snow is melting and spring is on the way. That doesn’t mean that Minnesota won’t get another snowfall, but spring snowfalls tend to be wet, heavy, and melts quickly. Let’s hope there will be no more snow! But I thought I’d take this time to do another book tag, this one themed around spring. I found this tag on Bookmarkyourthoughts, but the original creator was Helene Jeppesen (and another Booktuber) back in 2014. It looked like a lot of fun! Usually spring is all about melting snow, since I live in cold Minnesota. Spring in the form of blossoming flowers and lively birdsongs doesn’t actually arrive until usually June. And then the unbearable heat comes within a few weeks. But by that time, I will hopefully be living in Ohio, which has slightly more temperate climates. I don’t usually anticipate books anymore, because I’m usually disappointed when I do. But this book, released originally in February, 2019 (though this copy is going to be released April 9, 2019), looks fascinating to me. 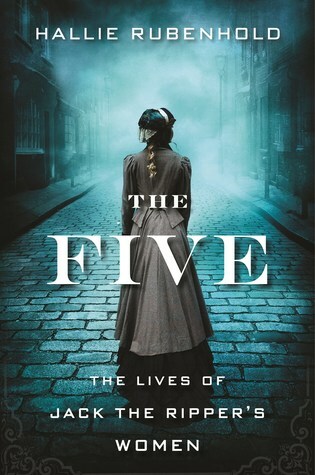 It examines the lives of Jack the Ripper’s Canonical Five Victims (the five victims most often attributed to him). I have been fascinated with the murders for years, but to be honest I know very little of the lives of the victims before they were murdered. 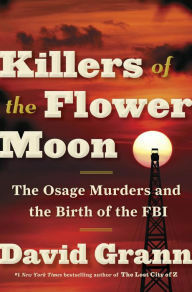 Thus, I’m really excited to read this book…not exactly happy for springtime, I know. 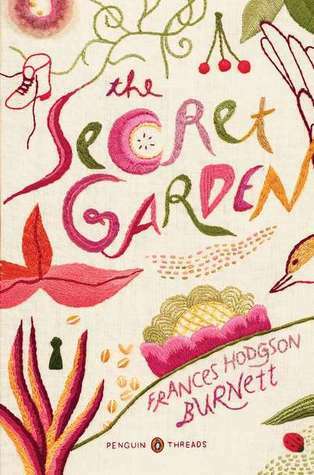 Honestly, any book with bright flowers on the cover makes me think of Spring, but this copy of The Secret Garden from 2011 Penguin Classics is just so perfect! Outside, as much as possible! During winter, I’m stuck reading in my room all the time. But in spring (especially late spring), I can finally sit outside and read! Usually I’ll sit on my deck with my dog. This was a great book, but what drew me to it in the first place was the beautiful cover! It’s crazy how red the sky looks. I don’t have any. I read new books all the time, so I rarely reread books. 7) Find a book with many different colors on it. 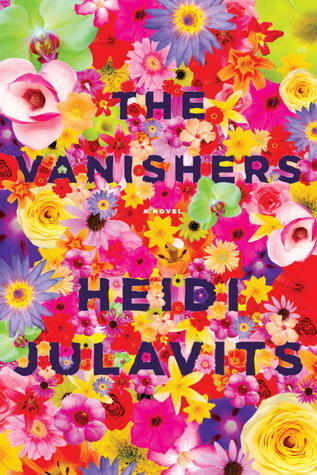 I haven’t read this book (it’s a mystery), but I saw the cover and I was like, “Wow!” That is a lot of colors. It almost hurts my eyes. As always, I’m not tagging anyone, but if you’d like to do this tag, I’d love to read your answers! Posted on April 6, 2019 March 27, 2019 by Madame WriterPosted in ReadingTagged 2019, book tag, fiction, nonfiction, spring, weather. Great tag and I guess I have to make room on my list for ‘The Five’! Thank you! Yes, The Five looks so good! You’re welcome and it sure does! I really enjoyed your answer! 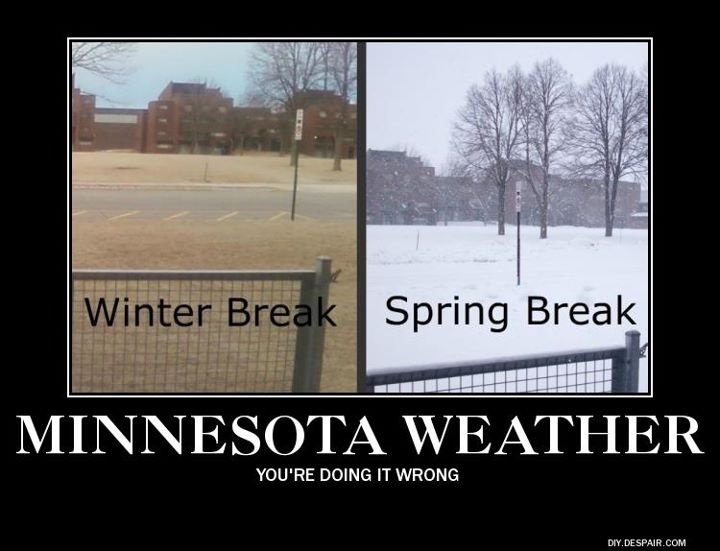 That Minnesota meme at the beginning gave me a good chuckle haha!! Thank you! Yes, I thought that meme was pretty hilarious, because it’s so true!